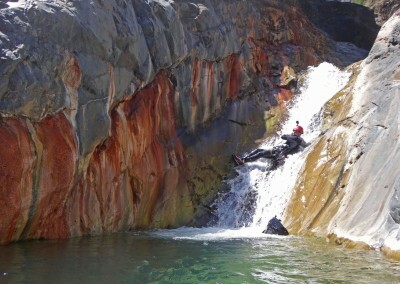 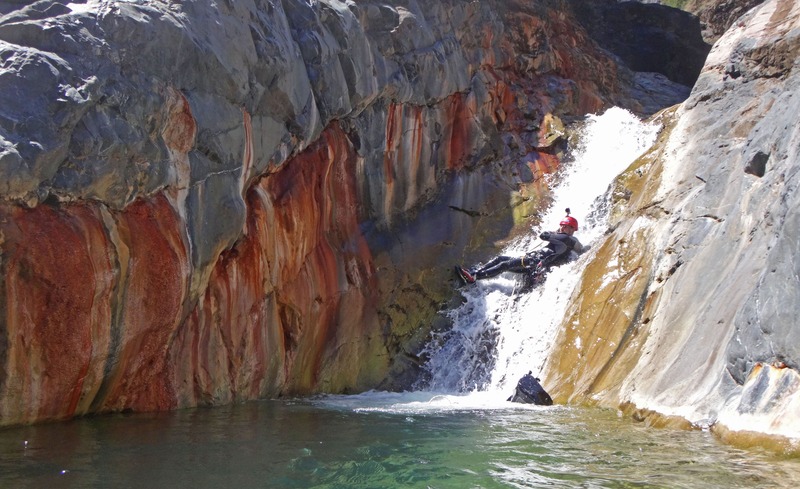 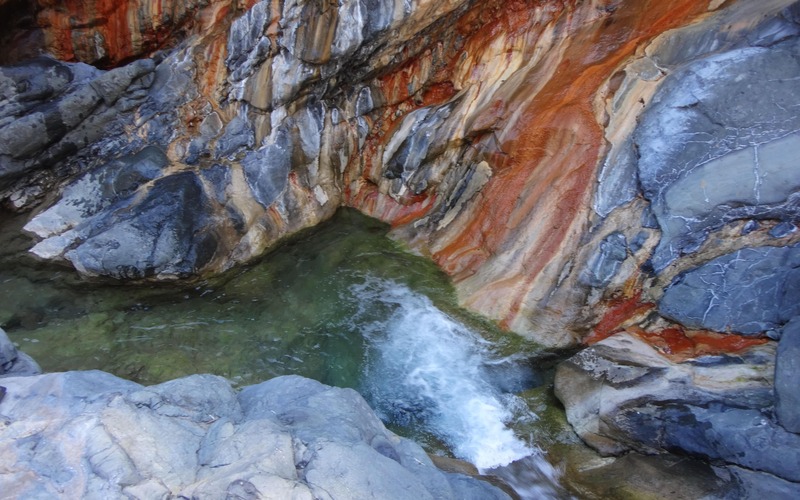 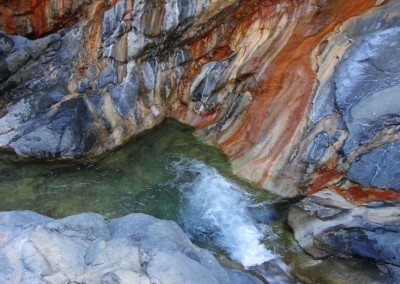 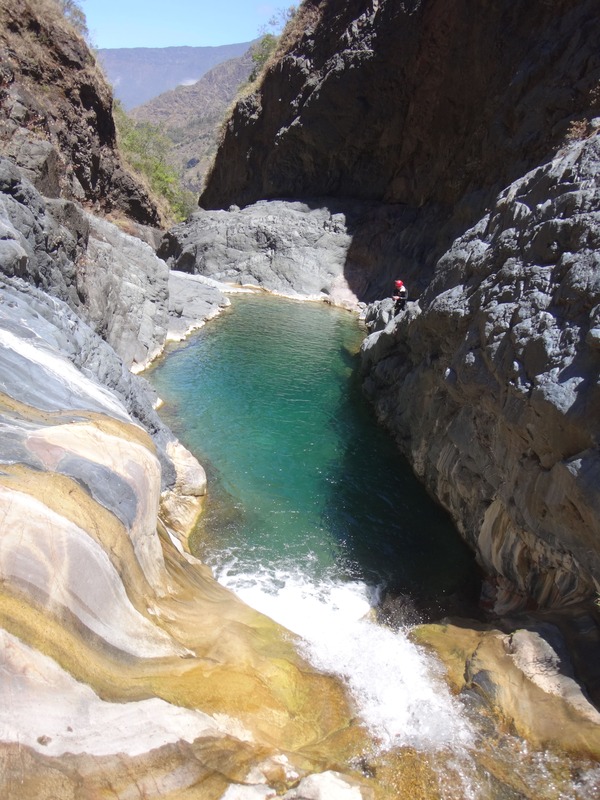 The Bras Rouge canyon is named after its beautiful red colors due to the iron oxide: colored atmosphere guaranteed. 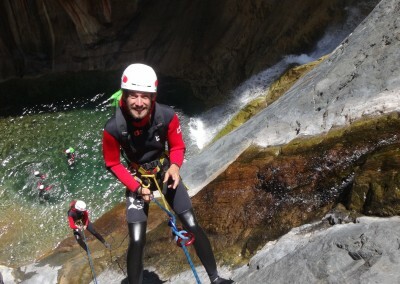 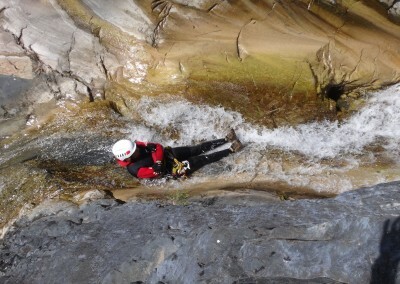 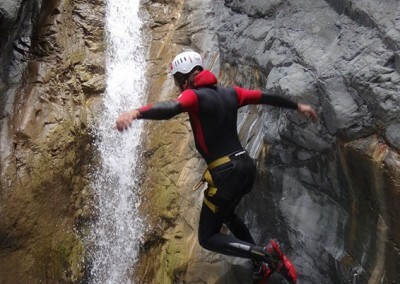 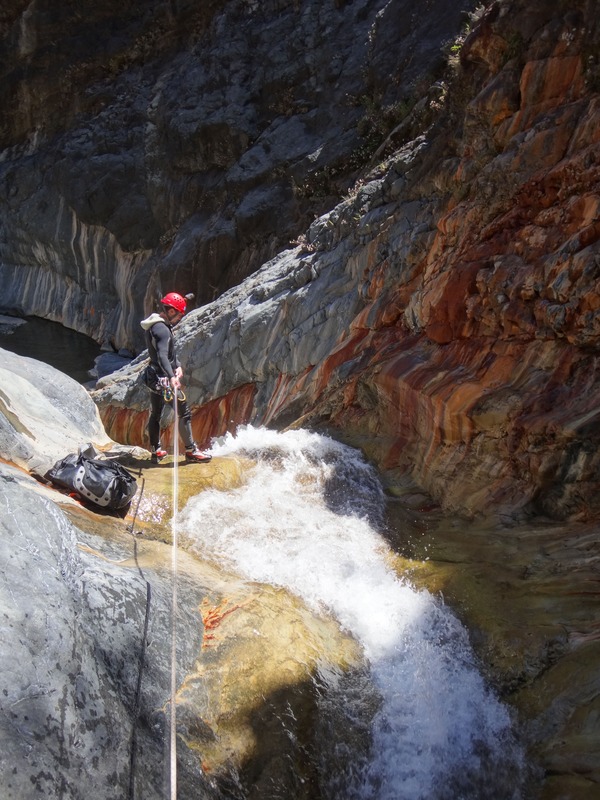 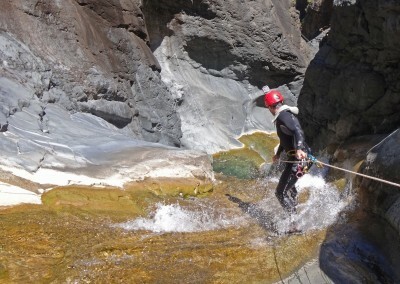 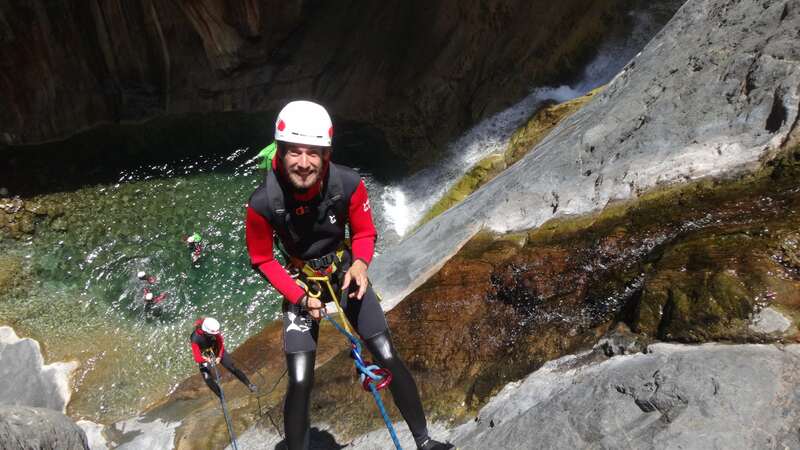 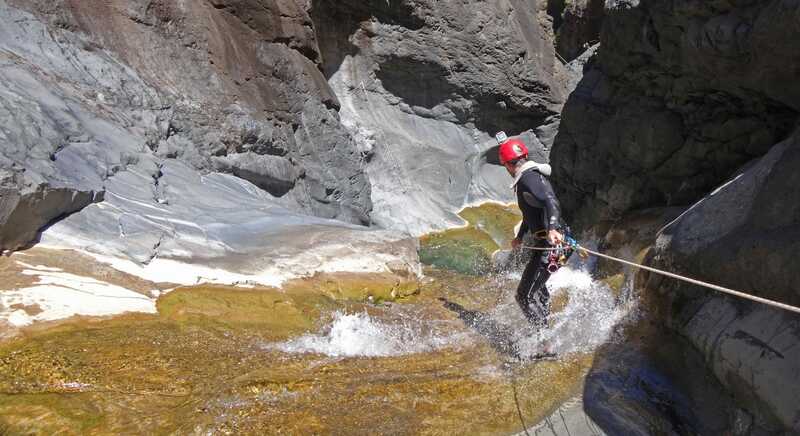 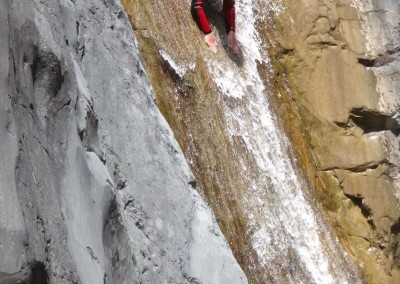 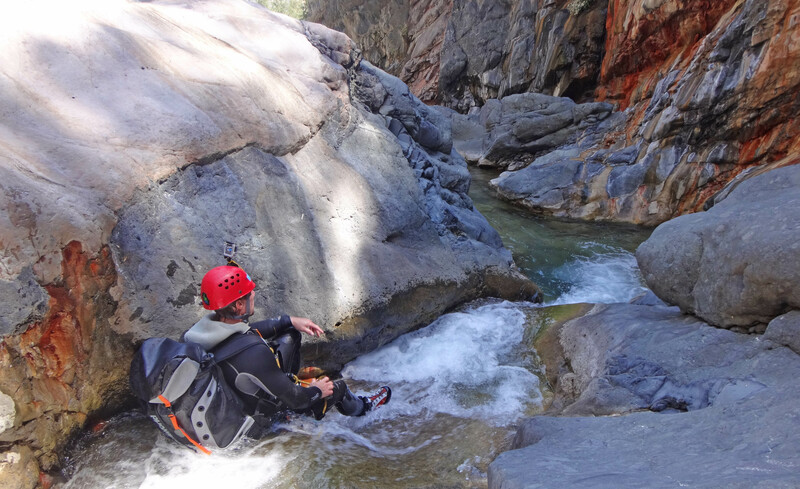 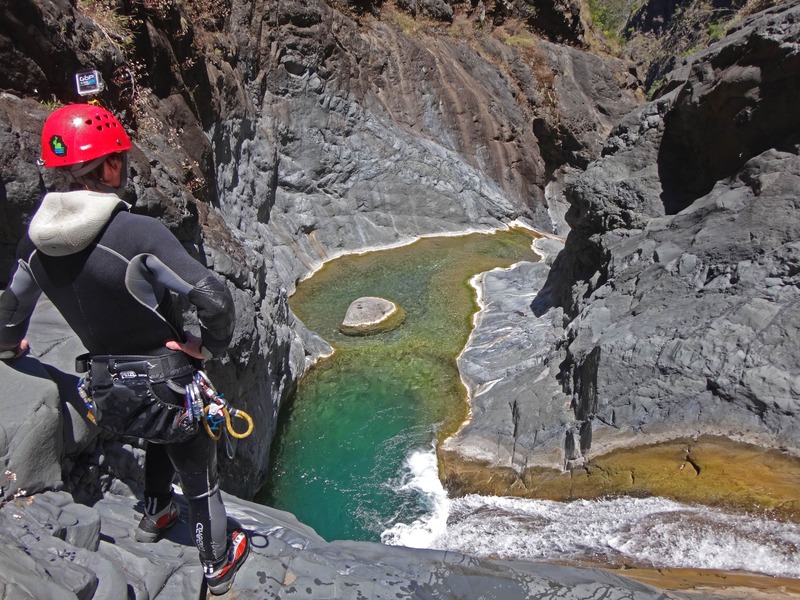 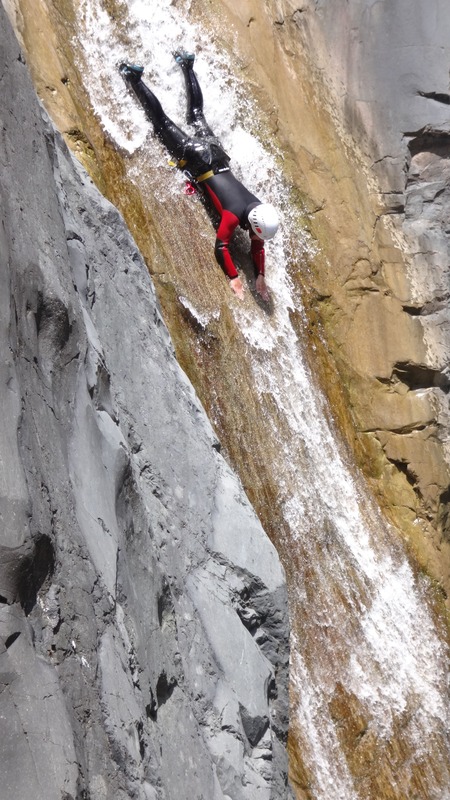 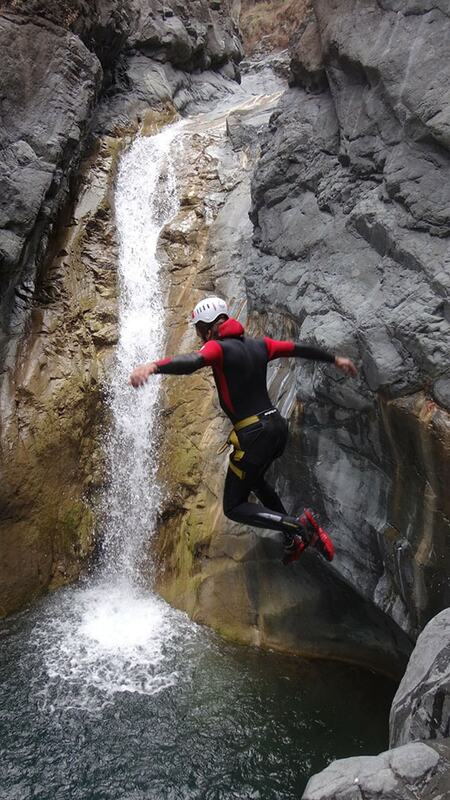 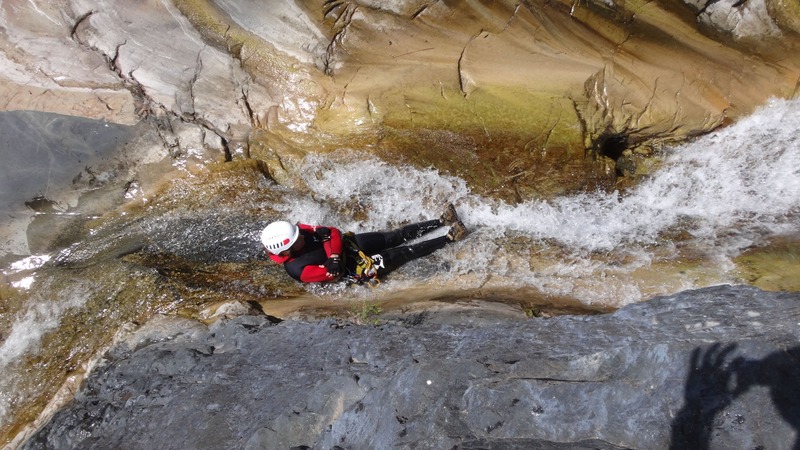 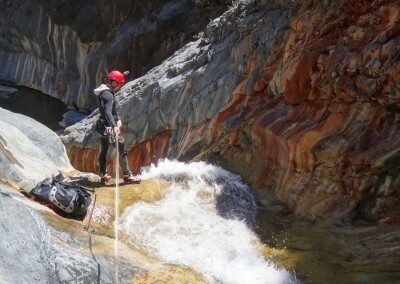 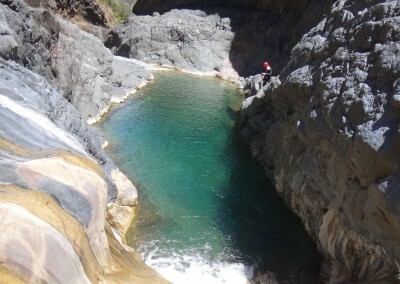 You will need to start the day with a steep approach hike, but once this is done, the rest is only enjoyment : a dry abseil of 20m then a 25m one, some jumps (not compulsory) and 4 slides that are rather wet! The meeting is at 8am, on the car park of Cilaos’ multimedia centre. 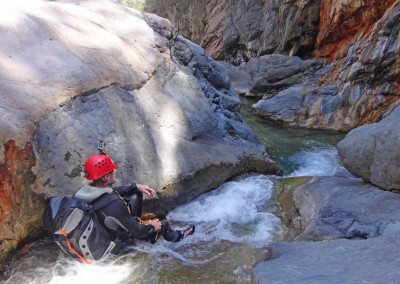 Have a look on the map, with which you can prepare your itinerary.